There’s an interesting HTC Vive bundle available for purchase now (only in the United States and while supplies last). 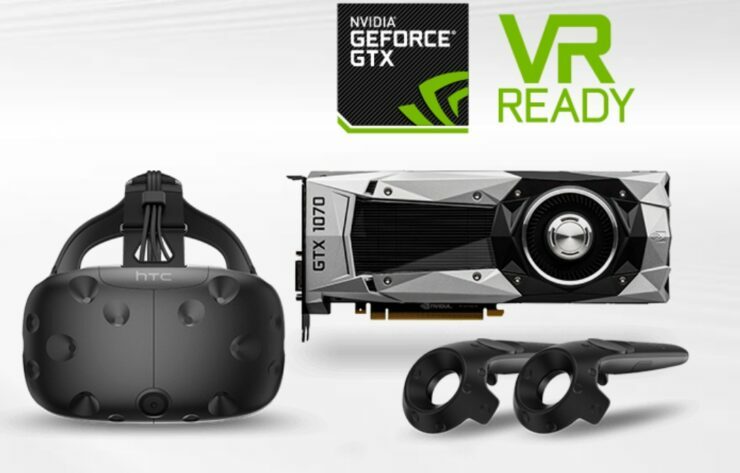 For $799 you can get the usual HTC Vive package, a Fallout 4 VR pre-order and most importantly a GeForce GTX 1070 Founder’s Edition GPU. That’s a pretty good deal when you consider that the HTC Vive is still priced at $599 on its own, while the GTX 1070 Founder’s Edition would cost roughly $400 and then there’s Fallout 4 VR which will launch on December 12th priced at $59.99. Having embraced VR quite a while ago as one of the HTC Vive’s early adopters, I was particularly excited to test out Fallout 4 VR. The Vive is a bit of a pain to set up in my bedroom so when I do take the time to use it, I have to ensure that I’m playing a worthwhile game. While there are a number of good VR games on the market, I’ve yet to find one that holds my attention for more than a few sessions. However, after playing the short demo at Bethesda’s recent press event, I think Fallout 4 VR may be the VR game I’ve been waiting for. The demo dropped me just outside the Red Rocket truck stop where I engaged in a brief firefight with a group of Raiders. I was then attacked by a pack of mole rats. The entire demo was played in ‘God Mode’ so it’s important to bear that in mind, but I was surprised to see how manageable the combat was in VR. I didn’t have any problems aiming and shooting at enemies, although turning to face them took considerably longer than it would if you were playing on a keyboard and mouse/controller. When you jump into Fallout 4 VR, the left Vive controller works as the Pip-Boy, which is strapped to your invisible wrist in-game. Using the right controller, you’ll be able to select various options from the familiar menu. The D-Pad on the left controller controls your movement whereas the D-Pad on the right acts as a quick-select menu. However, you are also able to teleport across short distances too. VATS has been mapped to the right applications button and works exactly as you would expect. This will be particularly useful when taking on more challenging enemies. After exploring the Red Rocket, I walked down the road to Concord, an area where you may remember meeting the Minutemen for the first time. On my way into the city, I had the opportunity to suit up and try out some Power Armour. If you think Power Armour is cool in Fallout 4, there’s no doubt that you’ll be impressed with it in Fallout 4 VR! Stomping through the rubble in the streets of Concord made me feel like a giant, unstoppable machine. Despite visiting Concord City Hall a fair few times in Fallout 4, standing inside it in VR made we want to restart the entire game and play through it again. The Fallout 4 VR demo finally introduced me to a VR game that I’d want to play for more than just a few hours. It appears that Bethesda are serious about recreating the game in full and so far, it’s on track to be one if not the best VR experience you can find. Do you plan to take advantage of this HTC Vive bundle?